Vermont’s Elections have been ranked as the nation’s most accessible. 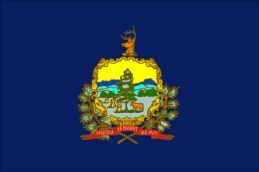 Jim Condos, VT Secretary of State announced on Monday that for the second consecutive year Vermont has ranked #1 in the State Election Agency Report by Ballotpedia. Ballotpedia is a nonpartisan online encyclopedia of American politics and elections. The annual report measure state election agencies in terms of their ease of access, quality of information and response speed. Vermont topped the list receiving 49 out of 50 possible points. NH came in at #8, MA came in at #5 and ME placed at #7. New Mexico, meanwhile, ranked at the bottom, earning six out of 50 possible points. As part of its analysis, Ballotpedia sent email inquiries to every state election agency and measured response times. Of the 35 states that responded within the specified 96-hour time frame, 29 did so within 24 hours. Educators will gather in Claremont for ‘The Arts Are Essential’ conference this November. Art educators, teaching artists, parents and school leaders from across New Hampshire will meet in Claremont Nov. 11-12 for the 22nd annual N.H. State Council on the Arts’ annual arts education partnership conference. The Arts are Essential” is organized by the N.H. State Council on the Arts in partnership with the Arts Alliance of Northern New Hampshire. Its advisory committee includes the N.H. Department of Education, the N.H. Arts Learning Network, educators, artists and community leaders in Claremont and throughout the state. To learn more about “The Arts Are Essential,” visit its webpage or contact Julianne Gadoury, julianne.gadoury@dcr.nh.gov, 271-0791. The US Postal Service is honoring Vermont’s 225 Years of Statehood with souvenir postmark. The United States Postal Service in Quechee VT will join the Upper Valley Stamp Club at their Stamp Show with a souvenir postmark on Saturday, October 1 at the Mid Vermont Christian School in Quechee VT from 11 am- 2 pm. The postmark bears a salute to Vermont’s 225th Anniversary and was provided at the request of the Upper Valley Stamp Club. People attending this local events may obtain the postmark in person at the Post Office table. If you miss the stamp show, but wish to obtain the postmark, you may submit a mail order request. Pictorial postmarks are available only with the dates indicated, and requests must be postmarked no later than 30 days following the pictorial postmark date. A Bethlehem PA man was rescued on the Appalachian Trail on Moose Mountain in Lyme on Monday. Fish and Game Officials say Andrew Hyduke 63, and a companion had planned a nine-day excursion on the trail when he developed a lower leg injury. Crews from Hanover Fire Department, Lyme Fire Department, Orford Fire Department, Thetford VT Fire Department, along with Conservation Officers from the NH Fish and Game Department, and volunteers from the Upper Valley Wilderness Response Team responded to the trailhead shortly before 10 am. The injured hiker was located approximately 1.5 mile south of Goose Pond Road on the Appalachian Trail. Once rescue crews arrived with Mr. Hyduke, paramedics were able to stabilize a lower leg injury and carried the injured hiker to an ambulance shortly after noontime. Hyduke was transported by Hanover Fire Department to Dartmouth Hitchcock Medical Center for further evaluation of his injuries.